Kyllini or Kilini is a quite famous destination, with notable history and stunning beaches and it lies on the far western cape of Peloponnese, at Ilia Prefecture. Kyllini's port is located on the western edge of the Peloponnese and is the main gateway to the Ionian Islands. Ferry companies serve frequently the lines from Kyllini to Zante and Poros/ Kefalonia. Kefalonian Lines also operate a summer ferry itinerary from Kyllini to Ithaca. The route from Kyllini to Zakynthos is operated by Kefalonian Lines, there are at least 6 daily sailings during the whole year and even 10 daily sailings on summer. The duration of the trip is just 1 hour. The port of Kyllini is connected to Cephalonia, Zante, and Ithaca. You can get to the port of Kyllini by car or by bus from Patras or Athens. 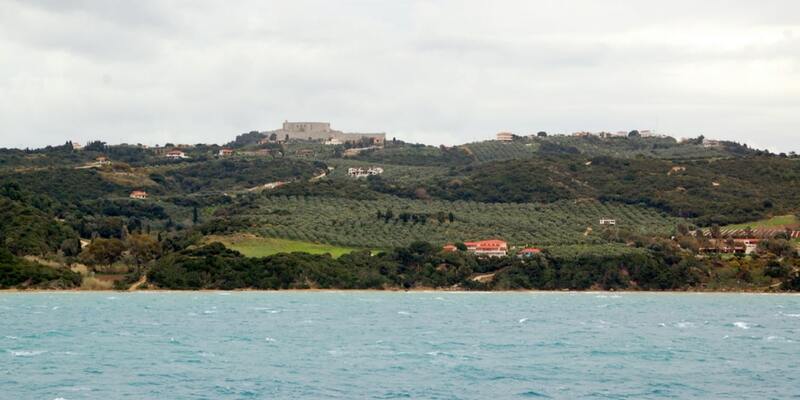 Kyllini is famous for the Hlemoutsi castle and the thermal springs located in a natural forest. These springs date back to ancient years, while some establishments of the Roman period have also been discovered there.